Who would not have dreamed of one day being a police officer. On Saturday youngsters can try how it really feels on a scaled down motorbike just the right size. Almost everyone needs a job sooner or later, so an annual festival in Itoman City is organized to show kids how it feels to work in different normal professions. 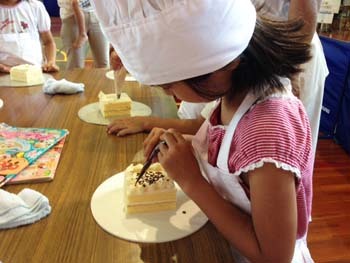 The Kids Simulated Job Experience Festival takes place this weekend on Aug. 8th and 9th at itomam Road Station (Michi-no Eki) and brings focus to 40 different jobs that the children can actually try their hands on. 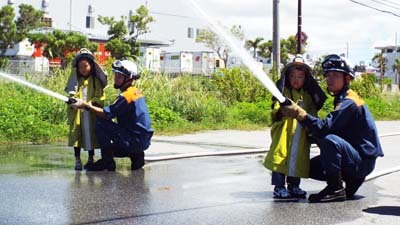 Even though the helmet could be bigger than the firefighter, the youngster is going to remember the experience. Organizers hope that he experience would help the kids to better understand the work their fathers and mothers do and appreciate it more. They consider the event as the cause to fulfill dreams and hopes to the occupation, which children themselves want to take up in the future. At the festival children experience various occupations virtually, and study what a society and economic activity actually is through a realistic experiences, including getting a “salary” paid in play money the amount depending on the burden of the job, which they can then use at the festival to shop and buy various services. 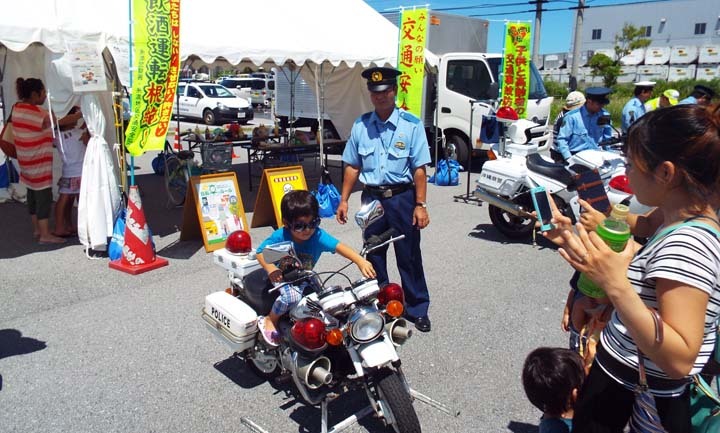 The festival runs 10 a.m. ~ 5 p.m. with last entry at 4 p.m. on Saturday Aug. 8th, and Sunday, Aug. 9th, at Michi-no Eki Itoman at Nishizaki, Itoman City. Admission to the event is free. Job experiences are charged ¥200 to ¥300. In addition, a variety of booths offer experiences of making items, such as accessories and aroma candles. Where else could you make your cake and eat it, too. Or at least earn enough to buy your creation after you complete it.